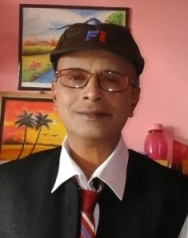 Dr. Abul Hassan Chaudhury, M.Sc, Ph.D who has been a life member, founder & former General Secretary, former Vice President,former Working President of Barak Education Society and also Managing Editor, Intellection, a research journal (ISSN:2319-8192) has been assigned the responsibility of Central Coordinator of Barak Education Society in the AGM held on the 13th May, 2018. Power and function: The Central Coordinator will be a member of the Central Executive Committee of the society by Ex-Officio. However, he/she may also be selected an office bearer in the Central Executive Committee as additional responsibility. (a) To create and maintain suitable coordination among the all functionaries and committees of the society at all levels including members in general. (b) To represent the society as spokesperson in different forums including press and electronic media. However, his representation should have the approval of the Central Executive Committee. Otherwise, it will be taken as his /her personal opinion. (c) He may also made written correspondence with any outside person/ authority regarding matters of organizational development or activities of the society. However, this must have approval / ratification of the CEC. (d) He may appoint district/block level coordinators with the approval of Central Executive Committee.